Emmanuel trained at the Arts Educational school. Emmanuel is a recipient of the Andrew Lloyd Webber Foundation Scholarship. He would like to thank the foundation for all the support and opportunity provided throughout his training. Theatre credits whilst in training include: Bonnie and Clyde, Evita, Princess Ida, Dirty Dancing and Saturday Night. Other credits include: Olivier Awards 2013 (Theatre Royal, Drury Lane), Kerry Ellis In Concert (London Palladium), Fame (Manchester Palace Theatre). 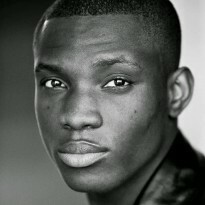 Emmanuel makes his professional and West End debut in The Scottsboro Boys.